Ms. Ginger Jirik brings enthusiasm, positivity and accountability to you as the Executive Director of the Connectionology® Seminars of America, a top-notch seminar company that focuses on teaching Plaintiff Trial and Criminal Defense Attorneys around the country. She’s been essential in planning and administering National medical seminars. Her previous role with a National Trial Lawyers Association led her to become a true maverick in Membership Management. Over the years, Ms. Jirik has become a fixture at conventions and seminars within the legal and medical field. She worked directly alongside State Trial Lawyer Associations throughout the Southeast. Her passion for travel and inspiration for helping others is a perfect fit within Connectionology®. She currently works hand-in-hand with National Speakers, Experts and Business Partners to help create unforgettable continuing legal education seminars. Ms. Jirik earned her B.A. Degree in Communication from Christopher Newport University. 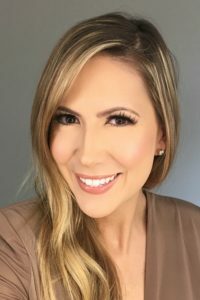 During the last two decades, her career has also included experience in sales, event planning, customer service, relationship building, account management, social media, public relations, print/online/media advertising, hotel, travel, public speaking, employee training, medical marketing and membership recruitment.